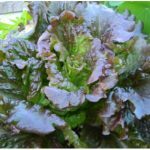 Lettuce – Surprise Mix is my own mixture of the best lettuce varieties. Expect a surprise. 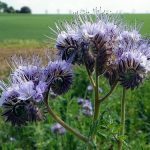 Sow small amounts every 2 weeks from late March until July. Sow 1-3 seeds per cell in modular trays and plant out 4 to 5 weeks after sowing. Do not cover the seeds! Butterheads were the only commonly known lettuce for a long time. They form a heart with soft, delicate leaves. They have the reputation of tasting quite bland, but some varieties of butterhead and, especially if organically grown, can taste quite nice. They are not suitable for the cut-and-come-again system. Crispheads (or Iceberg) have become very popular in the last twenty years or more. They form a large firm, crisp and succulent heart. Again, their reputation for blandness makes them unattractive for home gardeners. However, if organically grown, and choosing the right variety, they can make an excellent salad. These lettuces do not form hearts thus making them suitable for picking individual leaves as required. They mature quickly and are very easy to grow. There are hundreds of varieties, which include Lollo Rossa and Bionda, Red and Green Salad Bowl. Batavia lettuces are a fairly new introduction. They are a cross between butterhead and crisphead lettuce. Most varieties are attractive looking and very tasty with lovely crunchy leaves. I generally sow lettuce seeds in modular trays. If I want a head of lettuce, only one seed per cell is required. For cut and come again lettuce I generally sow 3-5 seeds per cell. 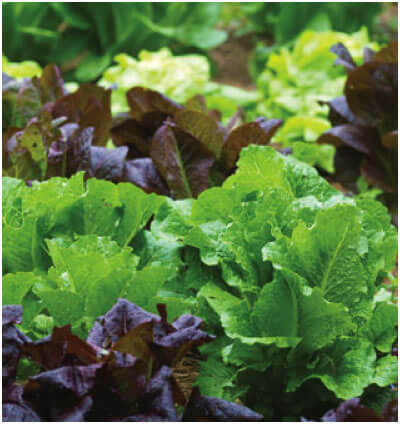 Lettuce needs light to germinate, so do not cover the seeds with compost. In your polytunnel or greenhouse you can start sowing lettuce in late January and continue on with successional sowings until August. During late spring and summer lettuce will grow better outdoors. 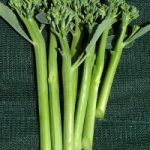 There are also varieties available that can overwinter indoors and are ready in early spring. Because of the disease problem of overwintering lettuce, I prefer to grow the more hardier orientals during the winter months.